“Minnesota Nice” may be a cliché, but here at Loews Minneapolis, the stereotype is true. There’s nothing we like more than helping our guests have a wonderful day or night in the city we call home. Let us treat you to our blend of signature Loews service and amenities and an inimitable Midwestern friendliness you won’t soon forget. Naturally, we offer free Wi-Fi in your guestroom and all public spaces—so rest assured you never have to be out of touch (unless you want to.) If you're looking to get your blood pumping, try a workout in our Fitness Center. Or, if indulgence feels more in line with your day, head to our Embury Spa for a massage, facial or simply some time in our steam vapor or rain shower. No matter what you choose to do while you’re staying at our luxury Minneapolis hotel—whether you’re here for a romantic getaway, a fun family vacation, or a productive but enjoyable business trip, we’re here to make sure it’s enjoyable. Please let us know how we can help plan your stay. 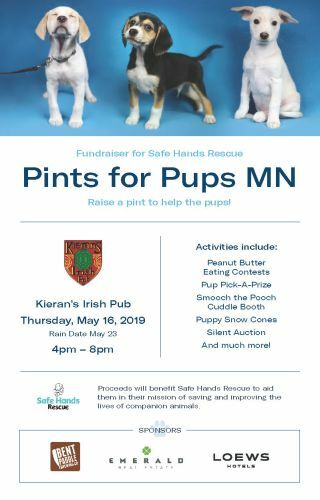 Raise a Pint for Pups on March 16th With Us!